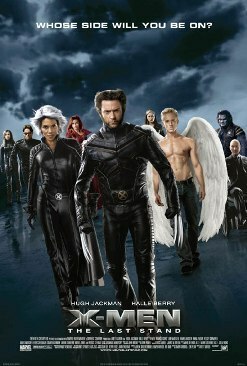 X-Men: The Last Stand is a 2006 superhero film and the third in the X-Men series. It is directed by Brett Ratner, who took over when Bryan Singer dropped out to direct Superman Returns. The movie revolves around a "mutant cure" that causes serious repercussions among mutants and humans, and on the mysterious resurrection of Jean Grey, who appeared to have died in X2. The film is loosely based on two X-Men comic book story arcs: writer Chris Claremont's and artist John Byrne's "Dark Phoenix Saga" in The Uncanny X-Men and writer Joss Whedon's and artist John Cassaday's six-issue "Gifted" arc in Astonishing X-Men. The film was released on May 26, 2006 in the United States and Canada. Despite mixed reviews from critics and fans, the film did well at the box office. Its opening-day gross of $45.5 million is the fourth-highest on record while its opening weekend gross of $103 million is the fifth highest ever.